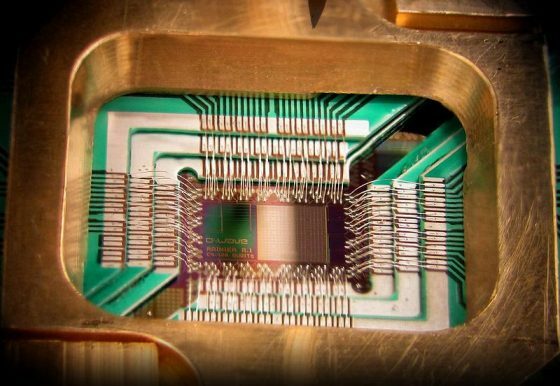 Quantum computers have the potential to fundamentally change digital technology and therefore the ways in which we solve problems, interact and do business. In her series for Roman Road Journal, science writer Gemma Milne looks into how quantum computers work and how they might change our lives. In Part 1, she explores the why, what and when behind quantum computing and some of the potential applications for what could be the most significant technological development of the 21st century. In a world where we can send instant messages to anyone on the planet at the touch of a button; where there are warehouses full of robots which build millions of planes, trains and automobiles every year; and where ideas, discussions and revolutions spread digitally within seconds…you’d think we’d have reached the limit of our computational ability. But what if I told you that, in fact, an entirely different kind of computer is on the horizon? Not simply a faster, better computer, but one which can solve some of the world’s most intricate and complicated problems like nothing we’ve seen before. I’m talking about a quantum computer. Let me give you an example of the limitations of our standard computers. We use 4% of all the world’s energy making fertiliser, using a process created in the early 1900s called the Haber process. Essentially, you take nitrogen from the air and hydrogen from natural gas, and turn them into ammonia. In order to break the bonds between the nitrogen atoms to create the new substance, we use an iron catalyst, heated up to about 450°C and kept at an extremely high pressure. The energy required to create the ammonia – the key ingredient needed for fertilisation of crops – is therefore huge. When you think about how much food is needed by the entire world, the growth of which is powered by fertiliser, it’s easy to see why so much energy is eaten up creating ammonia. We know that there’s a better, more energy-efficient way, as microbes in soil manage to create ammonia from the nitrogen in the air with only tiny amounts of sunlight, in a process called Biological Nitrogen Fixation. It’s the exact same equation – nitrogen plus hydrogen to create ammonia – but instead of using a chamber with high pressure and temperature to break the bonds, bacteria living in soil and plant roots ‘fix’ the nitrogen naturally. We don’t yet understand how they do it – all we know is that this bacteria is capable of breaking those bonds and opening the nitrogen up to turn into ammonia. We can’t simply grab all the soil microbes and task them with creating fertiliser for us – it wouldn’t create enough and they’ve got their own work to do – but if we could understand how they do it and copy their genius, our man-made process could be revolutionised. But to do this, to create a man-made scalable method that we could implement in fertiliser factories all over the world, it requires simulating the chemistry of life at such a small scale, with so many different variables, that our conventional computers simply cannot handle the numbers. Discovering a new drug, and bringing it to the people who need it most, on average takes ten years and costs $2.6billion. Part of the reason it takes so long and costs so much, is linked to the arduous process of finding the right molecules to match together, to create an effective drug. It’s a case of trial and error, testing so many different combinations, that the problem is of a similar scale as with Biological Nitrogen Fixation. At the moment, pharmaceutical companies will run billions of comparisons on their super-fast versions of conventional computers, but they are still severely limited to using only the small molecules which conventional computers can handle. Again, understanding the complex chemistry of life proves to be too difficult and full of way too many to-do lists to be sped up with conventional computers. Quantum computers could solve these kinds of problems for breakfast. Now, there are two concepts which are worth getting to grips with enough to understand quantum computing: superposition, and the uncertainty principle. Superposition basically means that all particles – everything that you, me and everything that surrounds us is made up of at the tiniest of levels – can be in more than one place at one time. Sounds mental, yes, but the idea is that instead of our particles being tied to one physical space, there’s a variety of places they can be, each with a different probability. As opposed to saying ‘the particle could be here or could be there’, we describe them as being in all those multiple places at the same time. The uncertainty principle states that we can never know both the position and the momentum of a particle at any one point – if we decide to measure one, we lose the other. In other words, if we want to locate the particle, we cannot know what speed it is going at, and if we want to know the speed, then we cannot locate it – we can only know one at a time. Taking both of these concepts together, means that particles can be in many places at once, but only when we leave them to it, and don’t actually try to work out where exactly they are. It’s worth mentioning that Niels Bohr, the Danish Nobel Prize winning physicist, famously said: “Anyone not shocked by quantum mechanics has not yet understood it.” Even the most accomplished scientists cannot get their head around quantum physics, but it’s exactly this kind of science which sits at the heart of what will become our solution to the world’s hardest problems. So we know that in the quantum world, particles can be in more than one place at one time. In the same way that multiple versions of yourself would result in a much more productive person, multiple particles in multiple places inside a quantum computer results in multiple calculations being able to be done at the same time. Conventional computers can do long arduous calculations, but they essentially have to work through a big long line of 0s and 1s (like a to-do list) to get to the answer. A quantum computer can do all the tasks on the long to-do list all at once, meaning they can work on very complicated tasks – like simulating the chemistry of life. So how long until we can feed the world using less energy and get drugs to the people who need them most, faster? In short: we still have a way to go. We haven’t yet got to the point at which a quantum computer has been proven to be better than a conventional computer – known as ‘quantum supremacy’. 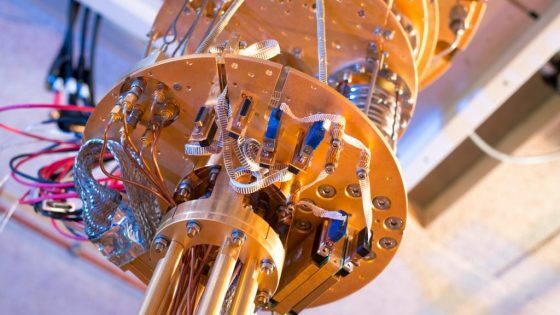 Google, Microsoft, IBM and many universities and startups are working towards a working, useful, reliable quantum computer, but so far their efforts are still at an early stage. That’s not a reason to lose hope, however. Progress has been accelerating over the last 10 years, particularly with the interest of corporates matching that of academia, and it’s been estimated that quantum supremacy could be reached as soon as this year. As with all hyped-up tech trends though, it’s worth bearing in mind that real world applications are always far behind the first working model. A whole new way of writing algorithms for these computers has to be worked out, and translating real world problems which abide by the laws of classical physics into problems which make sense in the quantum world is a hefty task in itself. Quantum computing is coming, and with it come exciting prospects for solving complicated issues lying at the heart of huge social issues around the world. It’s not all rosy though: with any new technology, changes can disrupt the status quo in negative ways too. For our world to work, we need problems which cannot be solved – this idea is at the root of encryption, for example. Hype around new technologies can also prompt poor investment decisions and early hustlers out to make a quick buck off a buzzword.